How Does ERS Handle E-Waste? 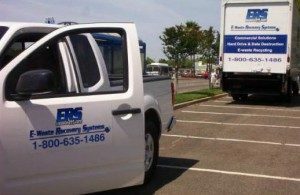 ERS provides professional, convenient, innovative, and efficient e-waste recovery services to individuals and businesses. We are developing new methods of collection, which will make the process of e-waste recycling simple and routine. 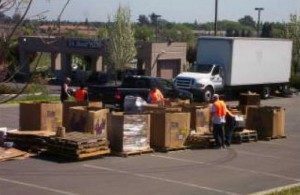 Currently, our collection services include free electronic recycling events throughout Northern California, drive thru drop-off locations in West Sacramento and Rancho Cordova, e-waste and surplus equipment removal services for businesses, organizations, and government agencies. Prior to recycling materials, ERS will attempt to evaluate each item for potential re-use. In many cases, items collected by ERS have not yet reached the end-of-life stage. Every effort is made to ensure these items are re-circulated into an environment in which economic advantages can be gained by end users and people in need. This step also helps to extend the life span of certain types of products. When items reach the end-of-life stage, they are broken down to the level of raw materials. All potentially toxic e-waste collected by ERS is processed and recycled within the State of California using environmentally friendly systems. ERS does not use exports and landfills as options for e-waste disposal.